Late afternoon on a warm August day, my son and I drove from our SW Portland neighborhood to Willamette Park, along the Willamette River in the SW Waterfront. 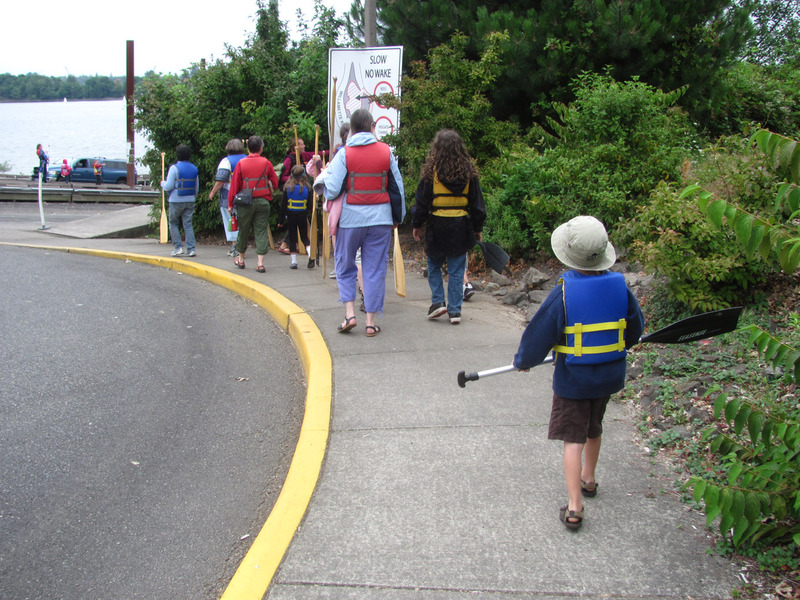 We found the group of people we were meeting near the boat launch. 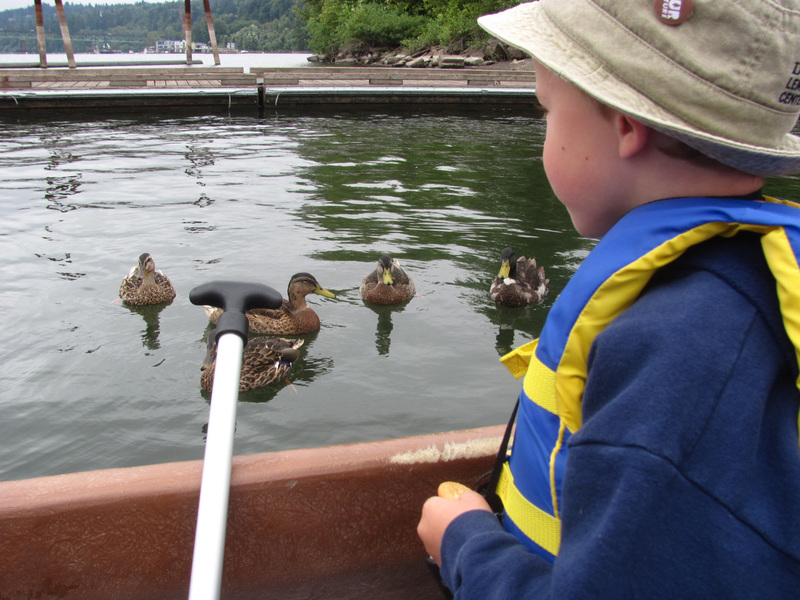 Some were already wearing flotation vests, oars in hand. Others were checking in and picking out their vests. Patrick and I had been on group canoe paddling outings before, through Metro at Smith and Bybee Wetlands Natural Area in North Portland, the Columbia Slough Watershed Council at Whitaker Ponds in NE Portland and elsewhere along the slough, and the Lower Columbia Estuary Partnership, who for the second time now for us was hosting a family paddle on the Willamette. Generally these are programs that we have registered and paid for. The cost is always very small in proportion to what you get out of it. 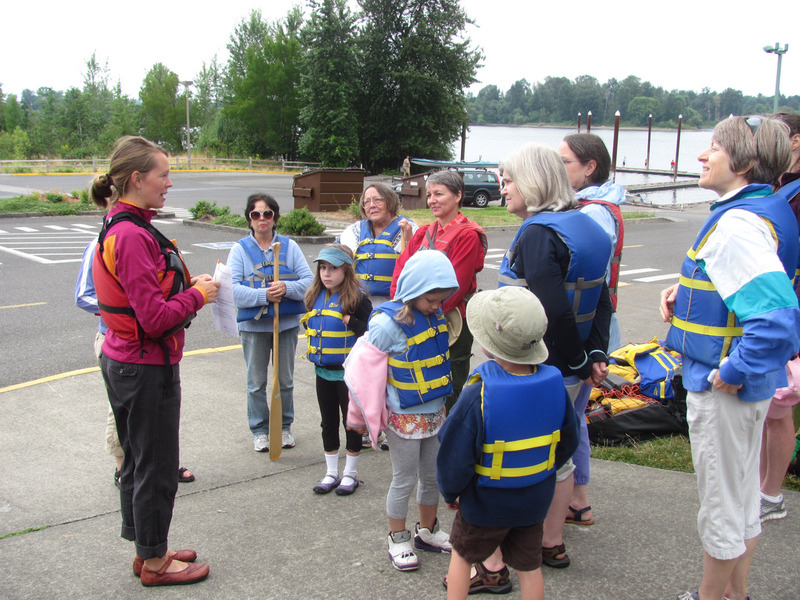 Once everyone, kids and adults alike, were fitted into vests, the paddle instructors reviewed canoeing techniques and safety. 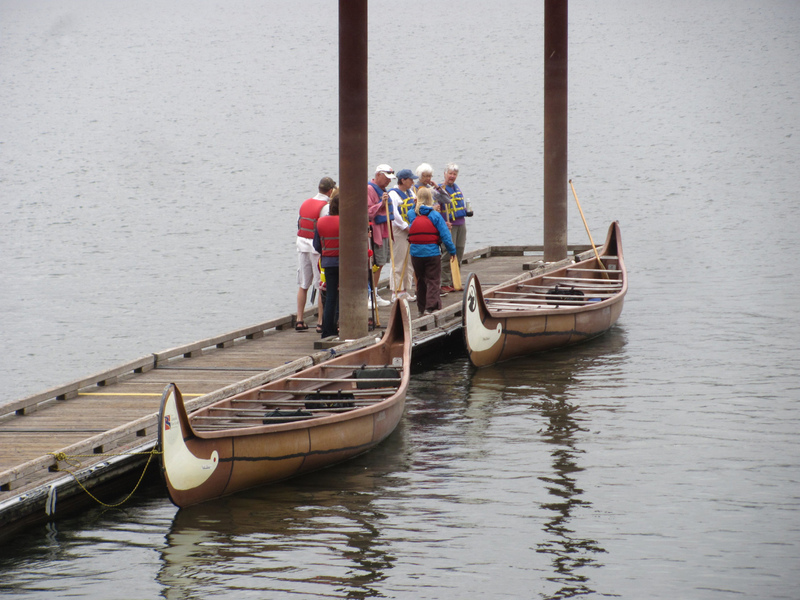 The group split into two, and each headed down a dock at the launch to one of two handsome, long voyager canoes. 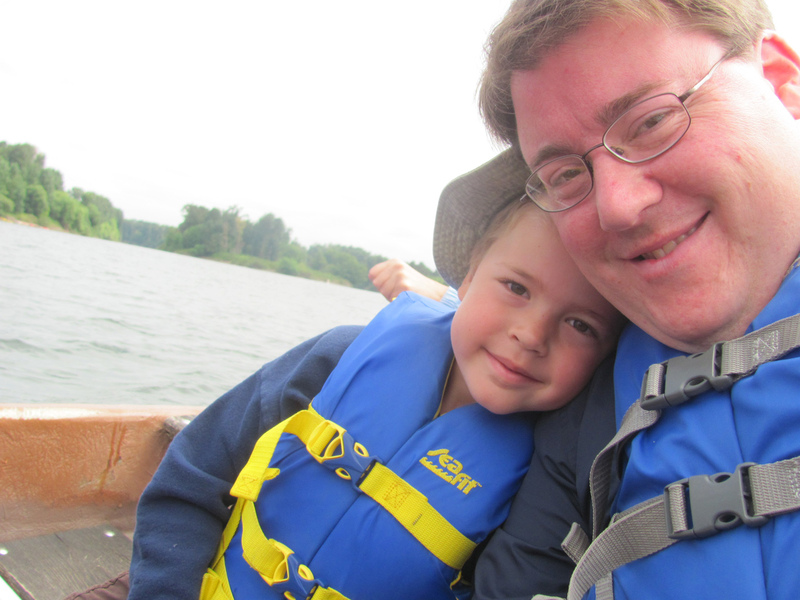 Patrick and I sat together on one bench, each with an oar and eager to push off. Making sure all the participants are suitably placed to balance the boat, we pushed off and started paddling across the river toward the east side of Ross Island. 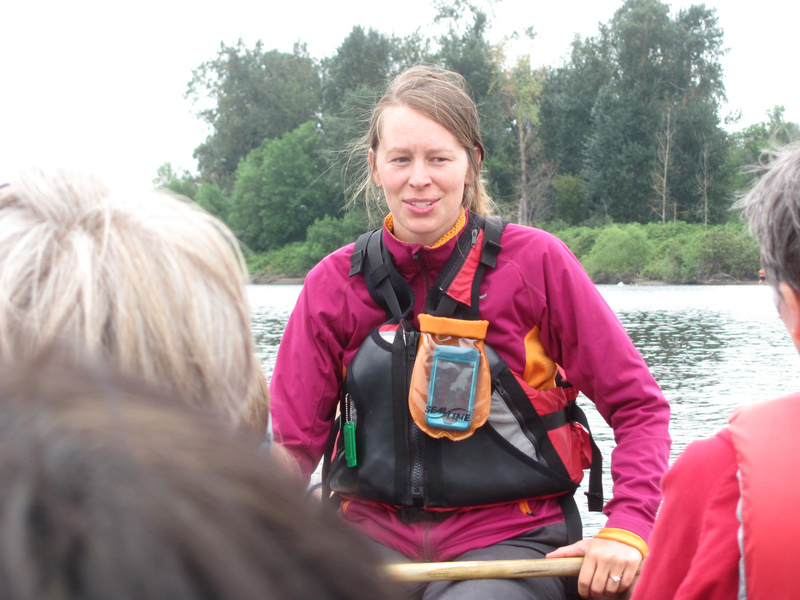 The instructors discussed general natural history of the river, informing us of what animals we might see. Paddling north up the east side of Ross Island (Holgate Slough), we saw plenty of Great Blue Herons, ducks of which species I could not tell, and Double-crested Cormorants. 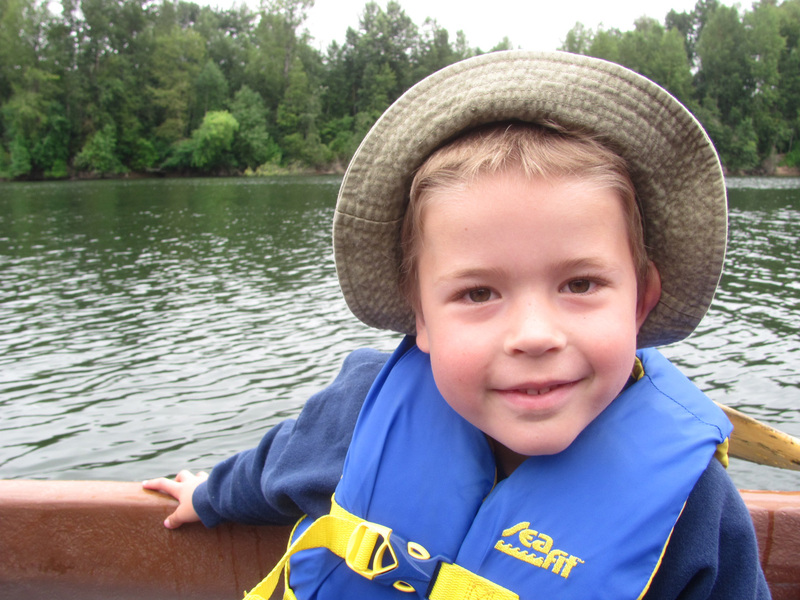 We hoped to see River Otters or Beaver, but unfortunately saw none. Our canoe only went as fast as the group of amateur paddlers could allow it. 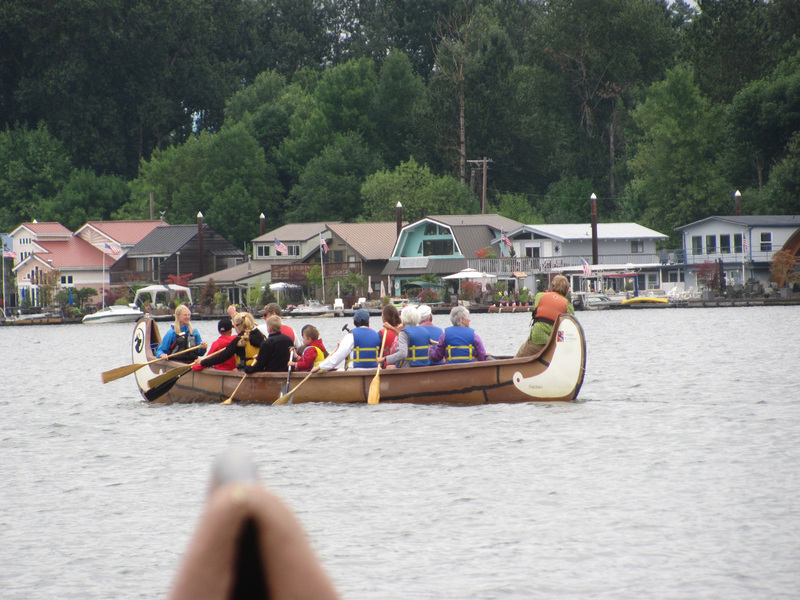 I could tell that participants enjoyed slacking a little to take in the scenery and calming feel of being on the water. 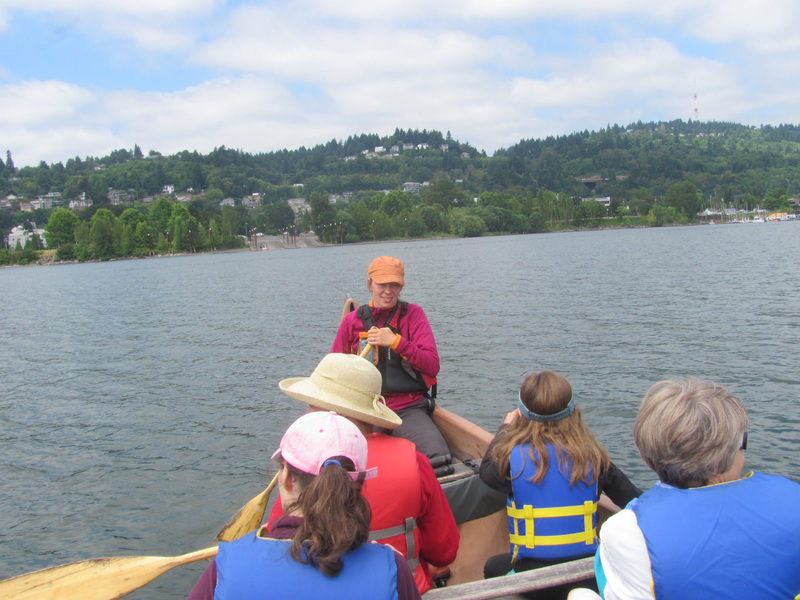 Occasionally, however, as the outing was on a time frame, the instructors would call on us to get our oars moving. 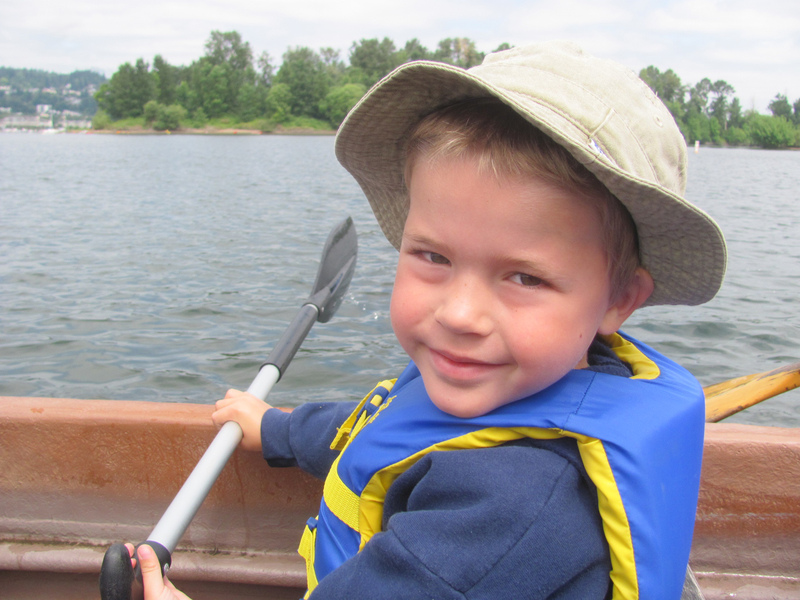 Patrick, at age 6, could only focus on paddling for so long before being distracted by something in the water, in the air, or on Ross Island. 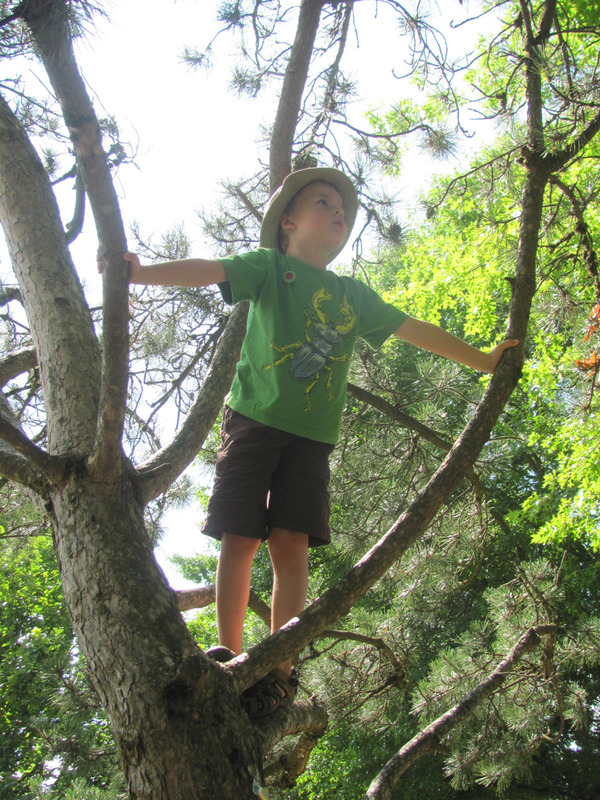 Unless I was taking a photo, my arms kept moving, so I think I picked up my son’s slack. 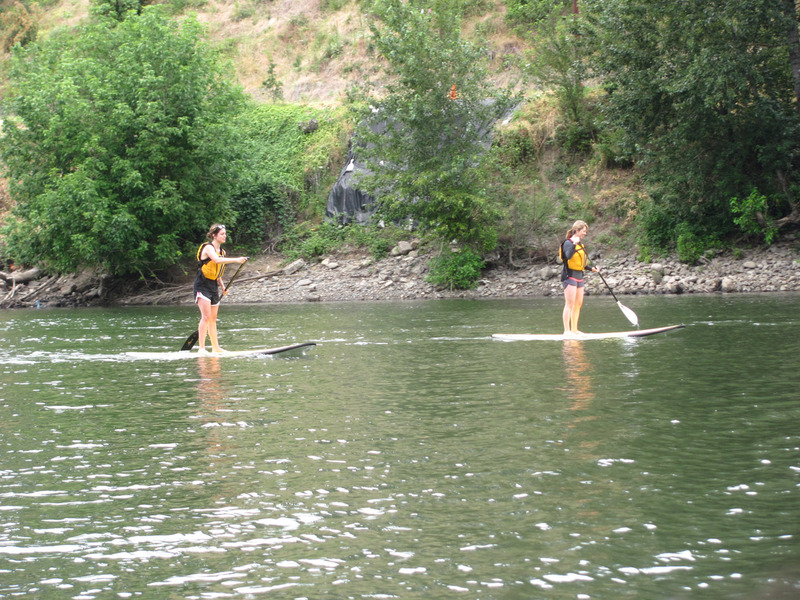 Plenty of other people were on the river, in boats, in kayaks, and standing while paddling on long boards. Even a group of young kids were seen wading in the water off of Ross Island. 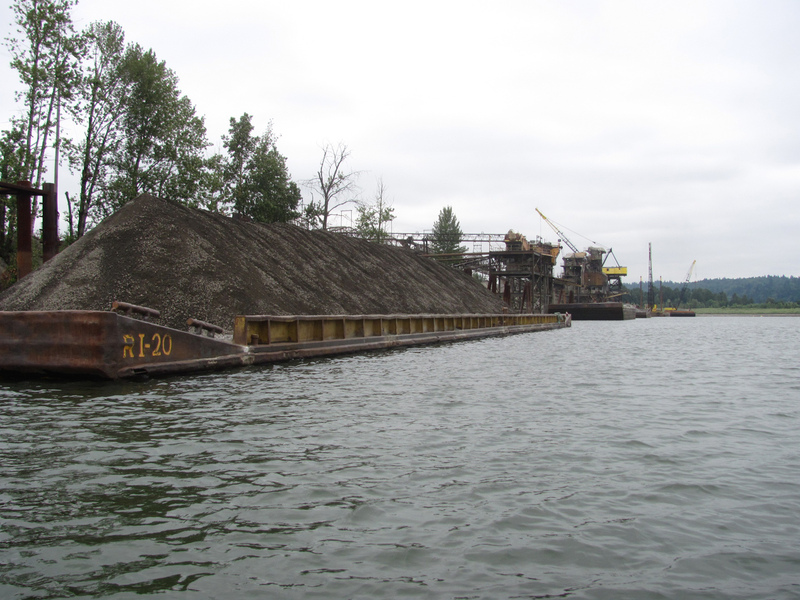 Once we reached Ross Island Lagoon, we entered it, and were informed by the instructor about the environmental concerns of the lagoon because of the work of the Ross Island Sand and Gravel Company, which owns most of the island (they have donated some acres to the City of Portland, and the Port of Portland owns some as well). 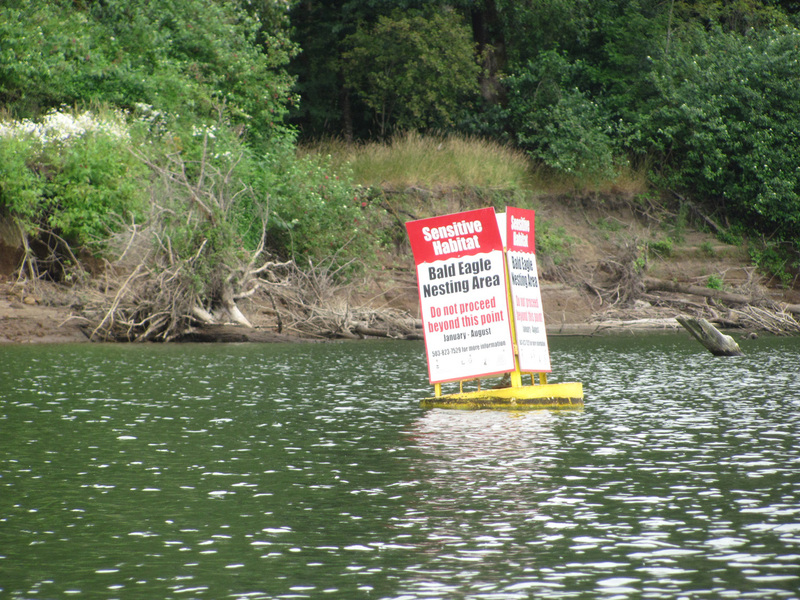 We crossed the lagoon, and come upon a protected area, marked with buoys you cannot cross, that is common for nesting bald eagles. 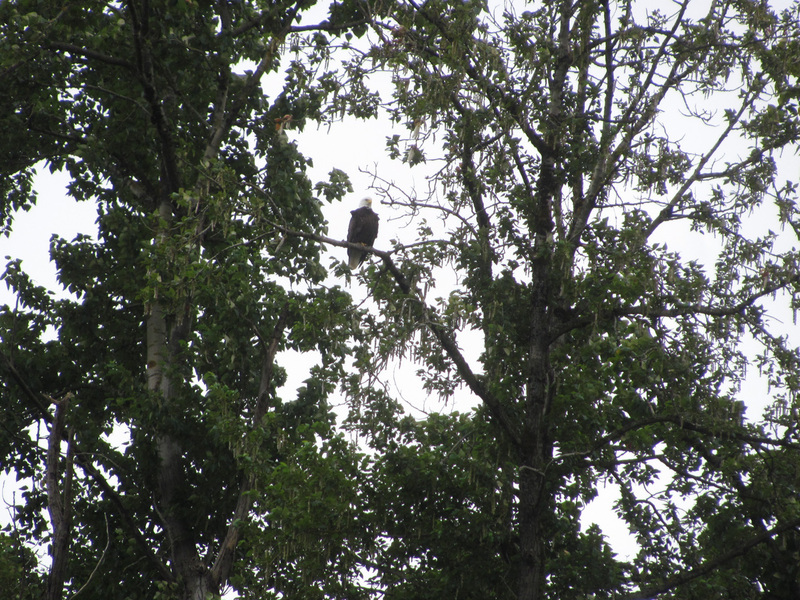 And we were excited to see one perched on a high branch! 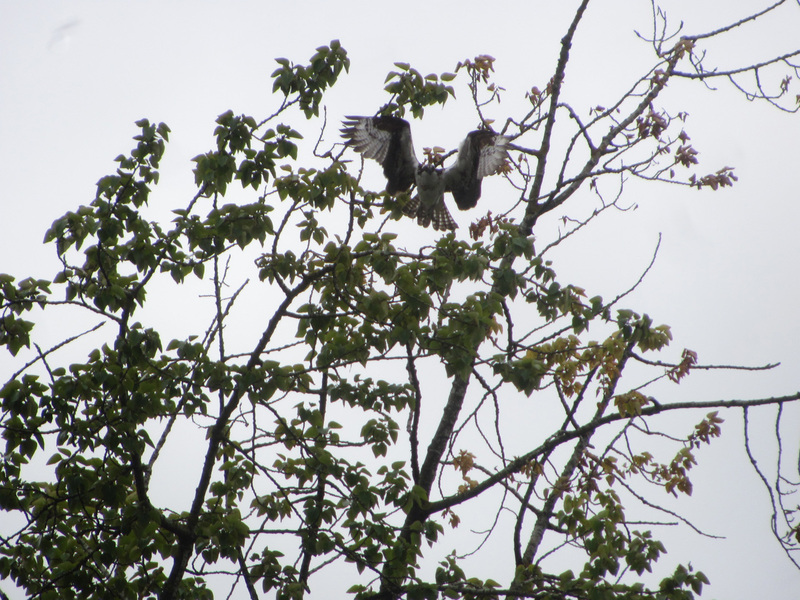 We also saw an Osprey land on a tree as we exited the lagoon and turned south back down the side of Ross Island. 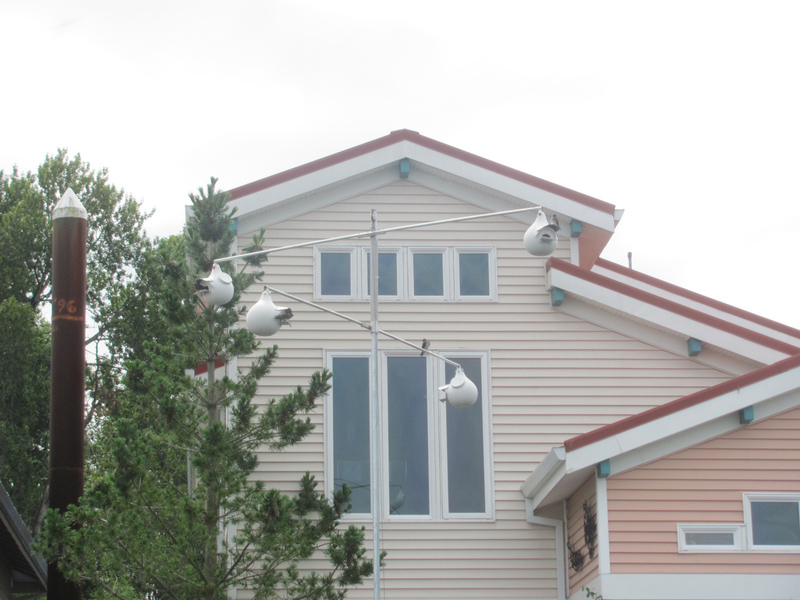 We also got to see some Purple Martins flittering in and out of bulbous manmade nests at a few riverside house boats. 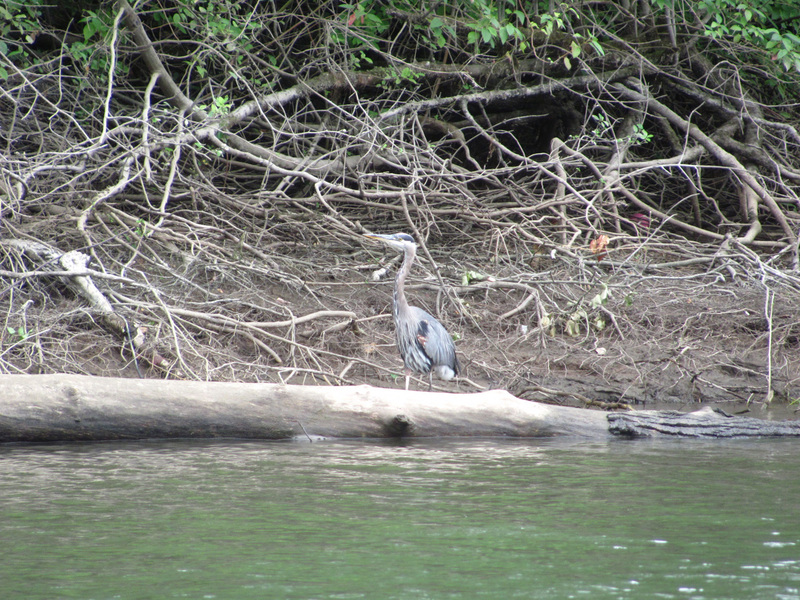 Then it was time to paddle back across the river toward the boat launch. 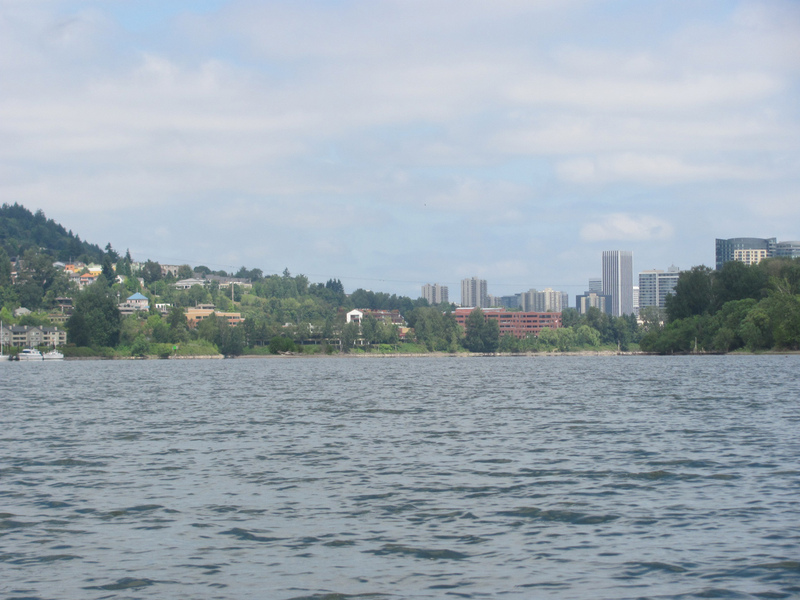 So often the river is present in our daily lives because we see it as we drive along I5 or across one of our many bridges on the Willamette. Maybe you walk your dog at Willamette Park, or explore at Elk Rock Island in Milwaukie or Mary S. Young Park in West Linn. 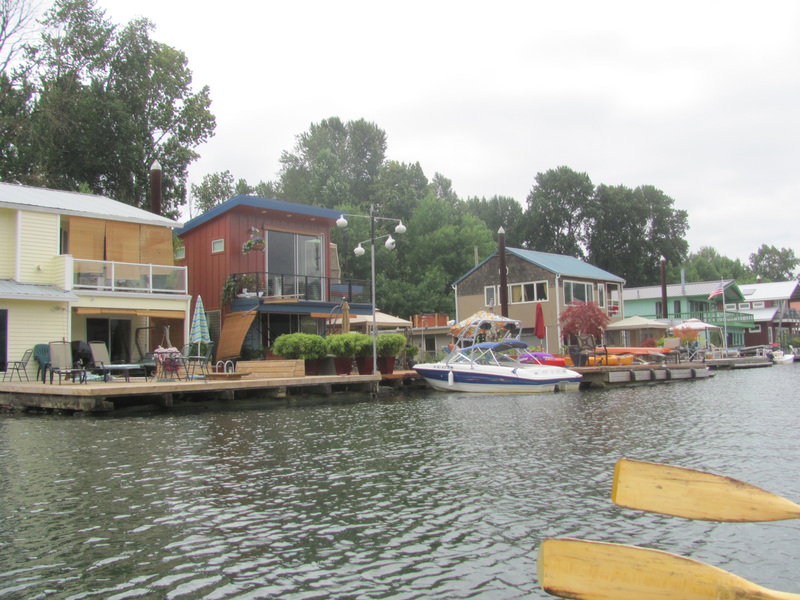 But the experience of the river is wholly different if you get out into it. We do not own a boat, and I did not grow up having ever really known what it is like to be on a boat. 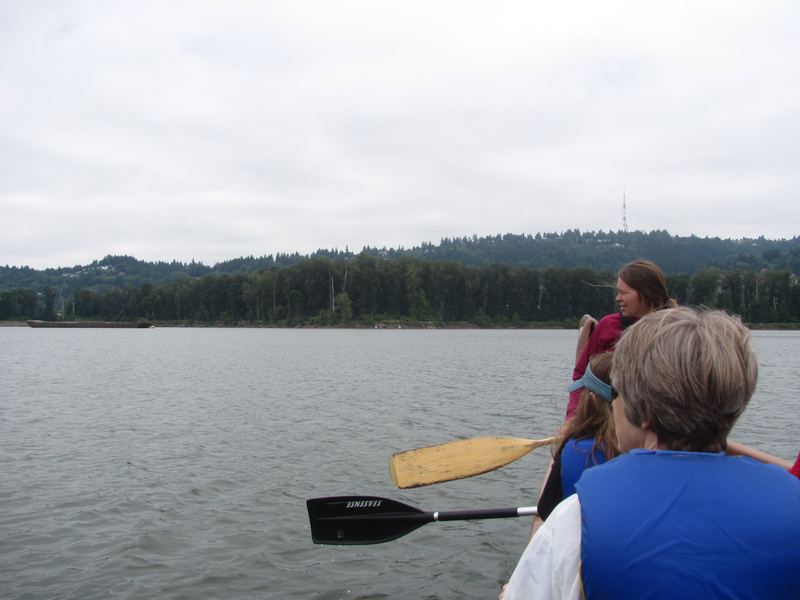 I am pleased that the Lower Columbia River Estuary and other agencies offer such opportunities to easily get out on the water and explore local nature from a different perspective. 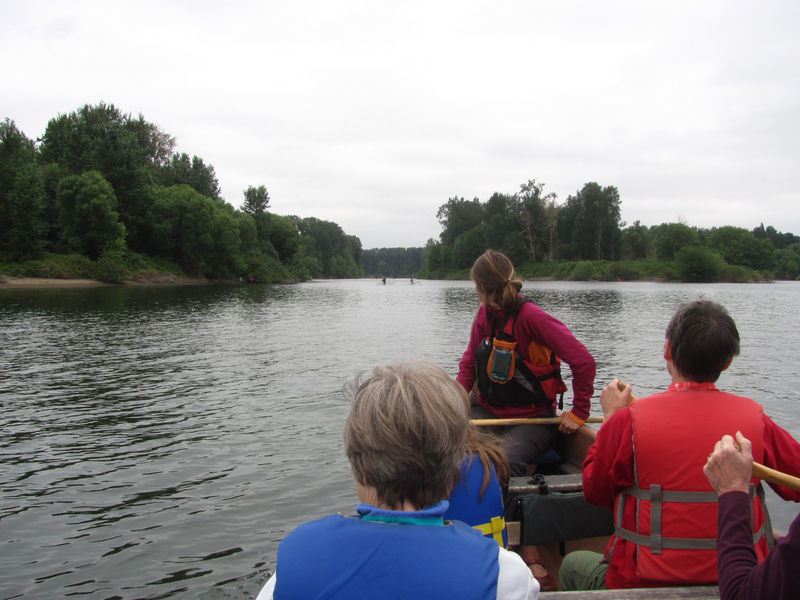 Go on a guided paddling trip with the Lower Columbia Estuary Partnership!